This is probably the best and also the popular site you can use to checking the safety of your online accounts. This tool makes use of your email address and checks whether it is associated with any hacked data. You just need to give the website your email address, just enter your email id in the website’s search bar. Then it will find and let you know if your email address is associated with any compromised data. If you are one such kind of a person who uses the same password for all your online accounts, then you must really be careful about the safety of your password. And this tool is absolutely for you. Pwned Passwords has got about half a billion of exposed passwords, so you can check if your password was breached previously. If it was breached, then you have to change it immediately. But if you haven’t found it in the list, it doesn’t mean your password is an excellent or safe password. It is just safe and is secured at the moment. This is another good alternative site that you can use for checking your online accounts safety and security. BreachAlarm allows its users to subscribe for notifications each time a data breach happens to their accounts. DeHashed more or less like the aforementioned sites. But it goes further in not only showing you hacked email addresses, but you could also even check to see if your password is on any breached lists. However, DeHashed isn’t as easy to use as some of the others and unless you pay, some search results will be censored. Anyway, if you pay, DeHash is comprehensive in ways that the others aren’t, making it a great alternative tool to see if you’re vulnerable. Where do these websites get info from? These sites work by aggregating data from places like Pastebin and the dark web where hackers usually store the data to sell it to criminals. Platforms like DeHash or HaveIBeenPawned however, use such data for good, by allowing you to see if your own info is there. And if it is, you can then change your login credentials to protect yourself. What to do if you are breached? 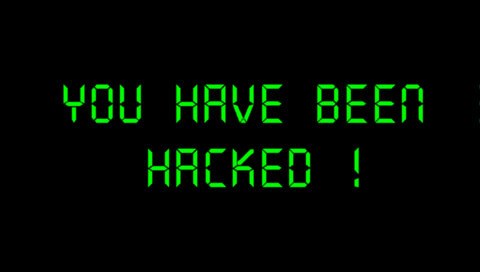 As soon as you see that your account is breached, make haste to change your account’s password. What’s Going On With Steward Bank’s App? Please encourage safe user behaviour. Some sites of this kind are used to harvest email addresses and passwords. This puts the user on potential attackers radar that they weren’t on before. In the case of genuine sites, be aware that the absence of your email address on such databases is not indication that your account hasn’t been breached. Not all breached account lists are published/sold, neither can it be assumed that the site is in possession of every published breach list available. There is thus no real achievement by “testing” your email address, except a false sense of security. In all honesty, the moment you believe your account may be compromised the correct action to take is to change all your passwords. Checking breach status is a fools errand.